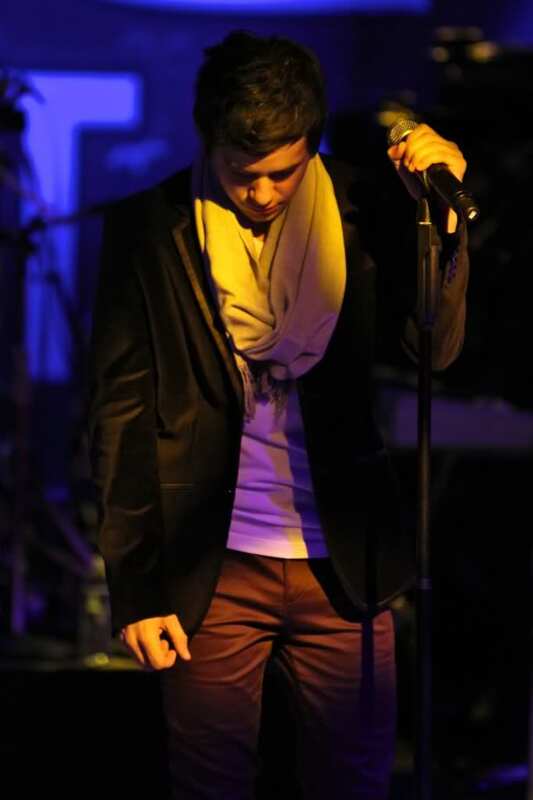 « David Archuleta ~ The Troubadour Concert Experience, NO WORDS. 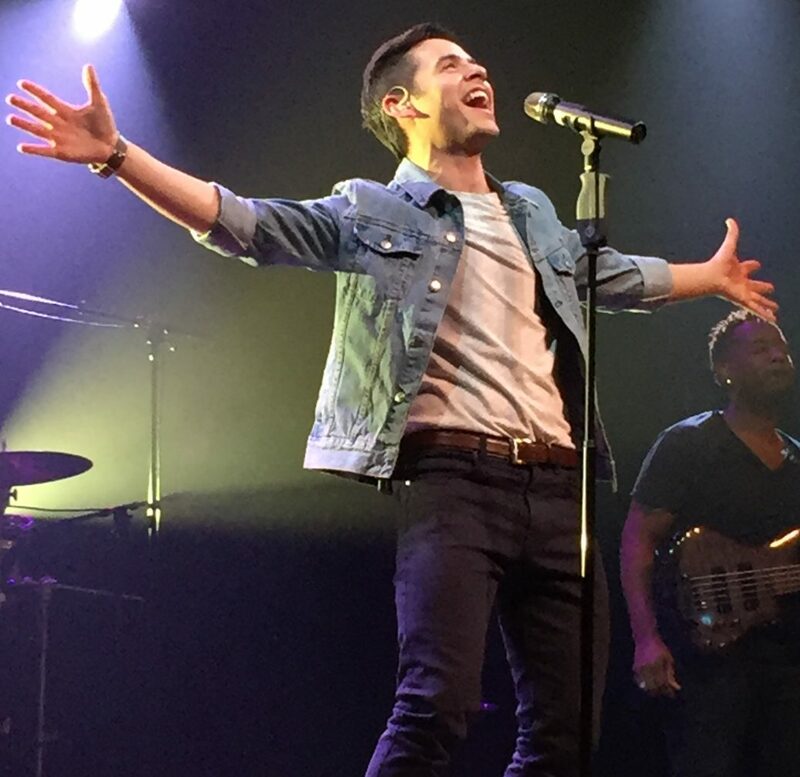 David Archuleta ~ New Music! EP “LEO” Out August 25th! Click below to purchase and listen to snippets! Here are the snippets on youtube! And a concert dates appearing!!!! Will be posting more info as it appears! 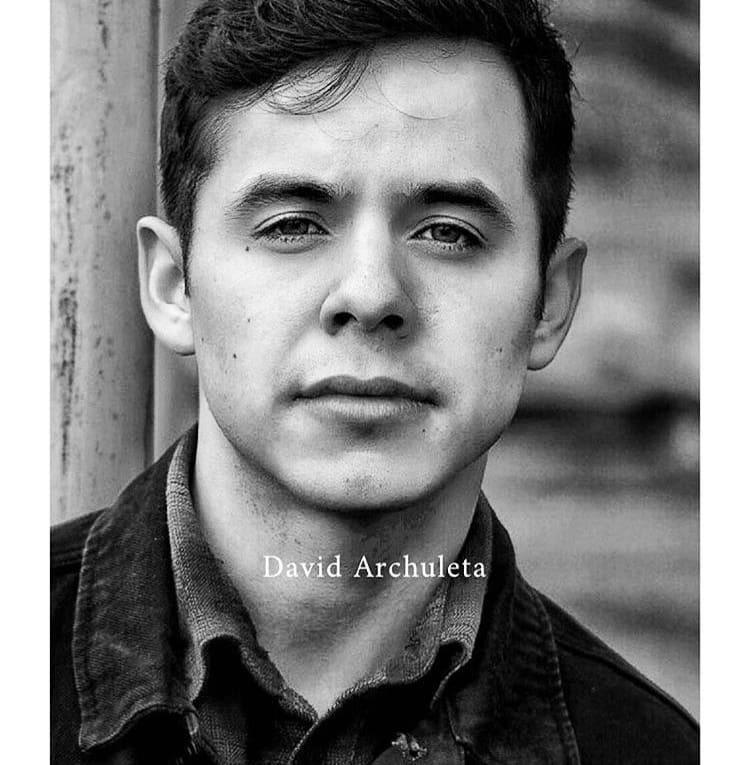 This entry was posted on Friday, August 4, 2017 at 6:19 PM	and is filed under @DavidArchie, David Archuleta, music, The Voice, Uncategorized. 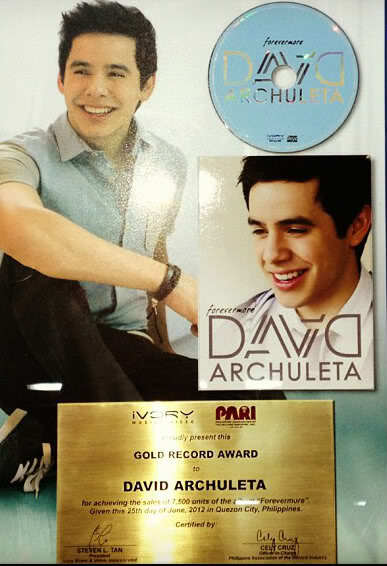 Tagged: @DavidArchie, August 25th, David Archuleta, EP, Gotta love him, LEO, new music, New Picture, the Voice. You can follow any responses to this entry through the RSS 2.0 feed. You can leave a response, or trackback from your own site. NEW EP COMING!!! THIS IS NOT A DRILL PEOPLE!!! Thank you Kristin! And Abrra!!! It’s . Coming!!!!!!! Happy Dancing!!!! Jumping up and down for another EP!!! Can’t wait for more new music! If it’s anything like Orion, WOWZA! So excited for this! New music, yaaaay! David and Kari visited Disneyland Hong Kong. Scroll thru 4 images here. I’m super duper excited for #LeoEP !!!! I’m I’m also super curious about what David is doing in Hong Kong???!!!! Maybe MV for a new single??!!! Maybe I’m Ready will be on this Leo EP? I already love this song. David checks in on IG to explain his visit to Hong kong. Wow, came to see what the puzzle was and got a triple dip treat! Dja, I’m Ready too! 🙂 great song! And that Jet Lag! Wow, never had jet lag like that, to keep me Up All Night!.. dang it! Cute idea! And thanks for the great, fun puzzle, Abs! So glad that David is enjoying himself now. Our patience has paid off! 🙂 So happy that he is ready too! Hey y’all, he sang that moon song in HK! He should sing that whenever he performs in a Mandarin-speaking country. Everyone would love him to bits for it. Scroll though the pics and find a video of David singing. Jans, I tweeted Kari to please ask him if he could record it 🙂 haha It is beautiful to see it song by David. I just love the way he sings it. And David is home and sharing on instagram story! I loved the puzzle, Abrra! My son has been in and out of the hospital the last month. And he goes in for an operation for a pace-maker on Thursday. I have been super, super busy. But I always love coming by and seeing all if you and all the news. If you don’t hear from me….it isn’t that I’m not around. Dja, great idea! Hope Kari thinks so too! 🙂 It would be awesome! Bluesky, best wishes, prayers, and hugs for you and for your son. Wishing him a healthy recovery!! David IG story from last night. I will never get used to these cartoon videos. I cringe. David still has very late night jet lag. Abrra, I’m with you on the cartoons! Cartoons. I don’t mind them but I think it may be a male thing. Because all the males in the family can watch and laugh at the silliest things. David instagram post. He found a cover of Crush! More David and Mama Lupe! I wish I could find something like this in my area for one of my grandsons who loves to sing! I follow this IG account and thought this post was so uplifting that I have to share. The account owner stops regular folks on the street and asks for a picture and a story they tell about their life. Not all stories are happy, but all have human interest. David is in Canada! Wonder why??? Hmmmmmm…someone took the picture. A sibling road trip? How fun! Leo pre-order. To hear snippets click on sample album. I had to shut off my browsers ad blocker to have it work. Hmmmm. I’m thinking I’m going to be liking this Leo album. 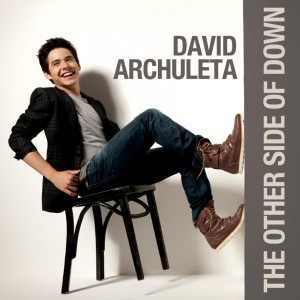 I love how David doesn’t have one style in his music. He changes things up on every song. What I don’t understand is why these absolutely wonderful songs don’t make it on the radio. They are so radio worthy. Does that have to do with his management? Short socks, DA! That’s progress! Thanks for the good wishes everyone… my songot a pacemaker put in this afternoon. For once, everything went smoothly, yea!! He will go home tomorrow. And he is one step closer to getting a kidney. Many of us go through a lot if health challenges. If any of you are one of those, know that you are loved! I am going to go listen to some Leo. Tawna, I heard that it takes tons of money to get your songs on the radio. And I think it is up to the management too, on whether it is feasible to spend the money. Sure wish all his songs were on the radio for the whole world to hear! I think that is why he has went the You Tube way. All that food looks good. Hope its all sugar free since David said he can’t eat it. Does anyone know why? David in Canada for a youth conference. David has the breakdown blues, but finds fun things to do. Today’s puzzle is a picture that I found on FOD, (but couldn’t get original credit). David went on a road trip! Concerts in Minneapolis and Pittsburg! Tickets go on sale August 18th! I added them up top along with the link to purchase LEO on Amazon and the snippets on youtube! Beautiful write up from The Cedar. 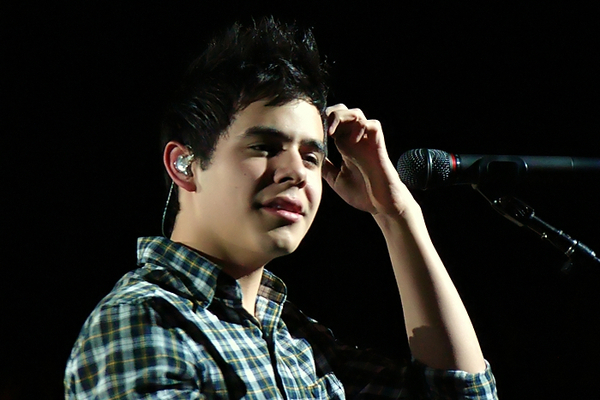 Platinum-selling pop star David Archuleta doesn’t like attention, but he deserves yours. 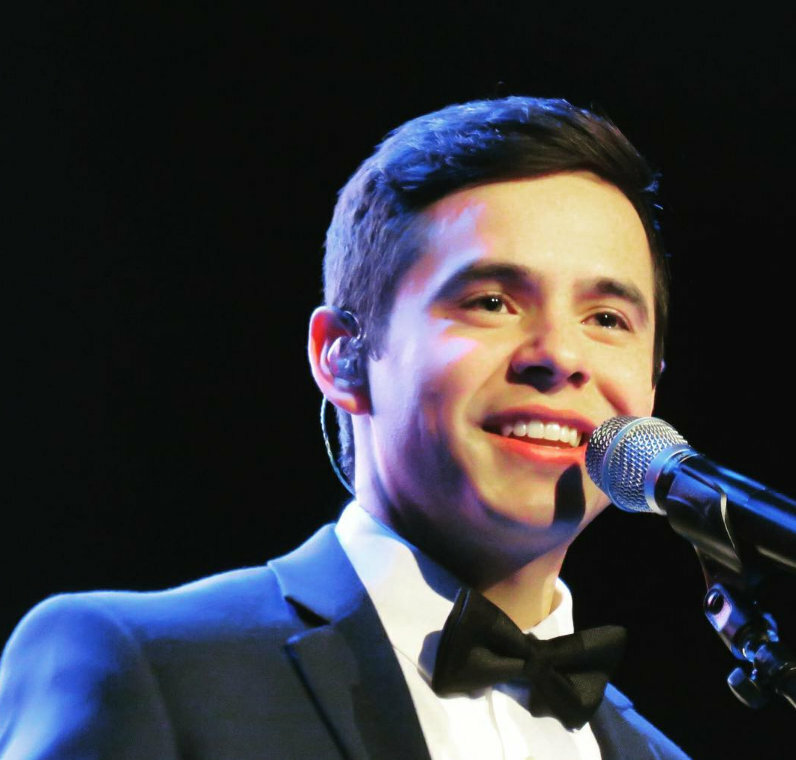 At 6 years old, Archuleta, who grew up on a steady diet of musicals like Les Misérables and Evita, developed a love for singing as a way to find solace in the comfort of his backyard. 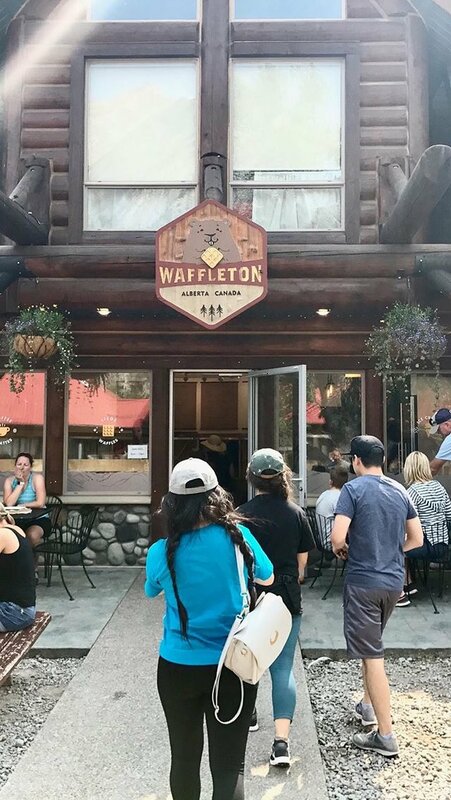 Before long, family, friends and neighbors started to notice, and at 9 years old, coaxed by the promise of free quesadillas, he was singing for crowds at a local restaurant. And in 2007, when the then-16-year-old (now 26), appeared on American Idol, the world started noticing.Receiving 44 percent of nearly 100 million votes, the shy, fresh-faced vocal prodigy was runner-up on the hit show’s seventh season, finishing behind David Cook. A record deal with Sony/Jive Records, arena tours, a No. 2 single (“Crush”) on the Billboard Hot 100, acclaim from the likes Bruce Springsteen, Kelly Clarkson and Rihanna, and international fame followed. But even after running the gamut from Top 40 pop to holiday music on six studio albums and 21 singles, released over the past decade, including a two-year break from music to embark on life-changing missionary work in Chile for The Church of Jesus Christ of Latter-Day Saints, the TV personality, bestselling author and former Star Search Junior Vocal Champion and one of American Idol’s youngest breakout wunderkinds was still just finding his voice. 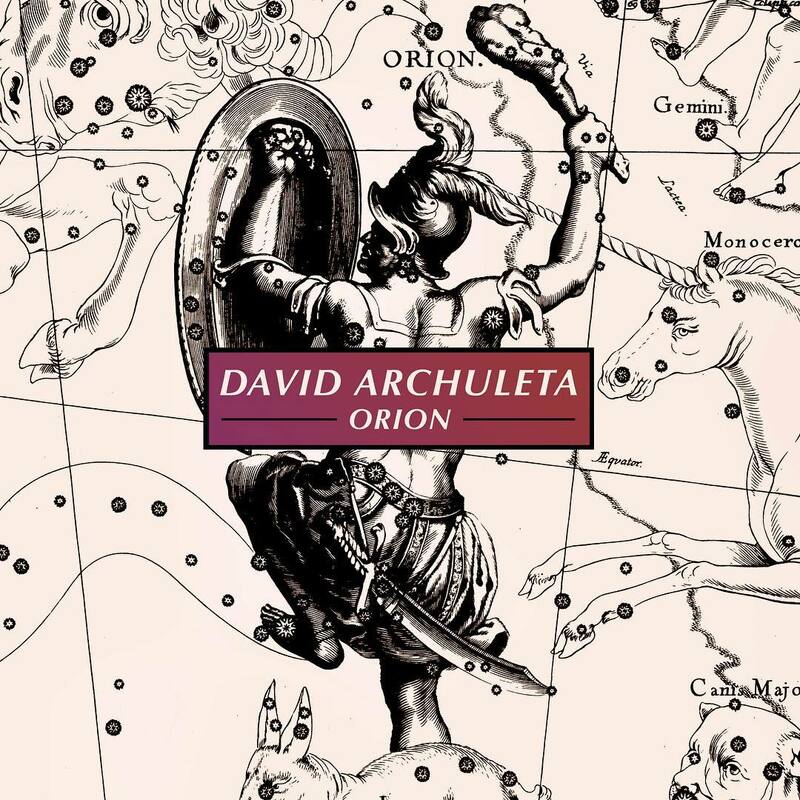 He’s talking about a series of three four-song EPs that, due out over the course of this year (and later as a full-length LP with additional songs), starting with the May 19th release of Orion, combine to make a heartfelt artistic statement. Unburdened by the pressures and focus-group-think of industry handlers, yet set to pop tones sure to pleasantly surprise old fans and attract new followers to his already robust global fan base, it’s the first album the singer’s co-written and recorded as an adult. “I think I’ll take a second change,” Archuleta sings with a familiar bell-clear powerhouse croon on lead-off single “Numb,” an airy pop tune with a refreshing calypso feel that shows some of the Utah-by-way-of-Miami native’s Latin roots. The track premiered via Billboard last November. 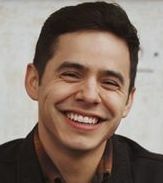 That idea carries on through Orion’s “Up All Night.” It’s a dance-pop gem Archuleta wrote about a rural Tennessee fishing trip he took with a family he befriended. Coming during a rough patch he was having in Nashville, the trip gave the singer some much-needed perspective at a time when he was imposing a paralyzing amount of pressure on himself to prove himself. “They just cared about each other,” Archuleta says of the family. “Whoever I was, they just loved me and accepted me, and made me feel like a was a part of the family. … I felt whole again, I feel rejuvenated, and I went home and I couldn’t sleep that night. And all that happened was I went fishing with this family. I was like, ‘I have to get this feeling out of me.’ So I went over to the keyboard and [“Up All Night”] is what came out.” “Say Me,” a string-section-boasting ballad co-written with Bose and Dabbs, is another rumination on the singer’s battle for self-discovery. I LOVE The Cedar write-up!! It’s beautiful! Thanks Dja for sharing it. 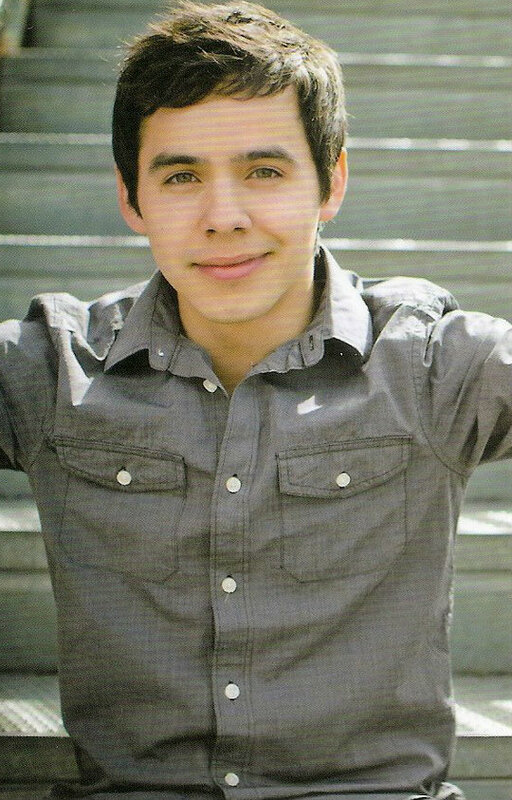 Yes, David Archuleta, that’s what the fans on this site want from you …. you to be you! We love and appreciate the you that we met 10 years ago and the you that you have found and become. Don’t change!! Two more! Cincinnati and Indianapolis! Links up top! NASHVILLE!!!! Franklin Theater, Nashville, TN November 4th!!!! Interesting that the tickets for the Mesa, AZ concert are prices $81 (balcony) – $219 (orchestra) That is quite a raise in price. I hope he can sell out at those prices. As for me, I will have to rely on wonderful fans who record. That’s too steep for me since I’m on a strict budget now. Can’t wait to purchase and hear all the new songs on Leo. David is still my favorite artist. I am so excited!!! I. Want. A. Map!!! Oh my gosh guys! This is more exciting to me than even the new music! DA on the move!! Woo hoo!!!! The Pittsburgh show date is listed incorrectly in the tweet from David at the top of this post. The correct date is October 26,2017 per David’s OS. David is in Toronto. Be sure to check out both pictures. On the East side of Canada this week in Toronto. Stopped by @thestoptoronto where they have a twist in band camp and give music industry experience like dance classes, singing in a recording studio, voice and instrument lessons, etc. In their Pop Star Boot Camp. I spoke to the kids there, and they shared some of their performances that they've been learning after. It was a lot of fun! Thanks Jasmine and Owen for letting me speak to the kids! And to the group of kids for a fun time! From Toronto, a listening party. People I have a Nashville ticket thanks to Jenny!!!!!!!!!!!!!! Now to make travel plans!!!!!! I have Kansas City VIP tickets and the great Dayzee is flying in to go with me! Whoo hoo! What fun! Dja, so happy for you…Nashville was my first choice til KC showed up. My road trip consists of 18 min and $1.37 for gas! 🙂 A lot different than what I’m used to. I got tickets to Sellersville – hoping to see some old friends there! Video from YLC Conference in Waterloo, Canada. So excited to see all the ticket sales. Don’t know why I still get so shaky trying to type requests for David tickets. Thanks to Jan for picking up Kansas City tickets while I was so nervous waiting for Idaho to go on sale. Wishing I could do Nashville with Jenny and Dja, but couldn’t figure out a way to do it. That one will be epic. Anxiously awaiting the “more to be added” as shown at comment #60. Good to see David traveling around enjoying himself and singing. 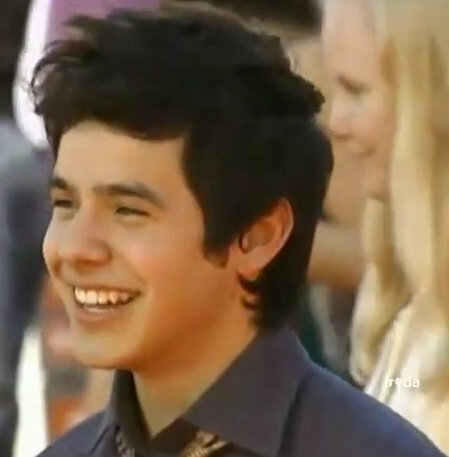 Love all the pics that show everyone around David with big smiles. He does that for me too. Have you ever seen a pic of David surrounded by grumpy people? That heart shaking, soul mending, death defying voice. Thank you, DA…that you decided not to be silent. Thanks to @cymbamusic for today’s puzzle! Marlie! Tickets for Sellersville! Can’t wait for your report on that. It will be great to hear from Pennsylvania. Yay! It wouldn’t be Sunday without a David puzzle. Thanks Abrra. Bluesky, “Death defying” Forever is a favorite at my church. I have always loved it and not for a second did I ever imagine David singing it. No one at my church has ever sang it like this. Nathan P recorded it and I may not be very popular but he doesn’t come close to David’s rendition. I feel David’s heart and soul. I don’t know how he does it but darn he is something else. I’m Ready, wow, this recording in absolute perfection, it’s almost as good as David live. They have figured how to almost capture the essence of David’s voice. David said he’s involved in the production of his music now, I knew it would happen :), all this new music has his touch, he is a musical genius. Dayzee and Jans, Yay for tickets! Glad you two are hooking up for more concerts! Abrra, thank you for the puzzle and all the goodies! David was very active on instagram story. Thanks to those that grab them! David’s name is up in lights at the Franklin Theater! Going through another storm again. So sick of them this year and still waiting on getting my home fixed from a month ago. Actually we have had rain all day so we were lucky we got to see the eclipse. It stopped just long enough up until about 90% but it got cloudy to see the 100%. But it got dark and the street lights came on and the crickets started to chirp. So awesome to see in the middle of the day! 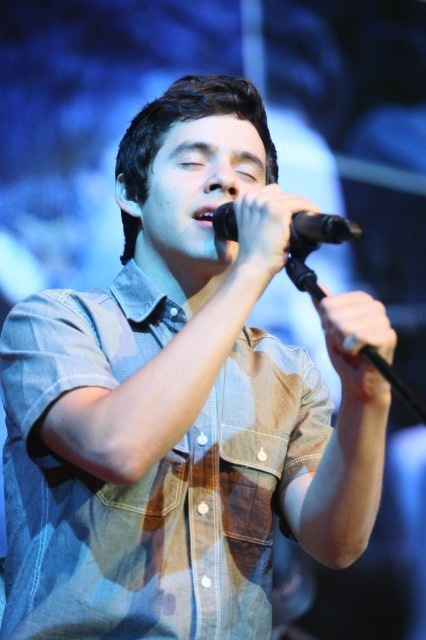 Some videos were uploaded yesterday from Indonesia concert from 2011. Wow – those videos from Indonesia are amazing! That whole tour was fabulous. And such great production. Looking forward to seeing David live – it’s been oh, about 5 years since the last concert I saw. I agree, those videos are so good and love to see the love they give to him. The stage is neat with it being in kind of a circle and he can go out and around. 🙂 Thanks, Abs! Fresh haircut for his Leo launch party. Love how this fan doubled tracked David’s IG story vocals. Just got email that Leo is ready to download from iTunes! 84…I like the way his voice is double tracked but David always said he didn’t like the sound of his voice. But he loves to sing. WOW! Can this guy get any better????? I love these songs, his voice, the lyrics, all of it. And we will be blessed with acoustic versions tonight!!!!!!! I’m not sure if this will post as it’s been a very long time since I’ve posted anything on a fan site. Situations and life circumstances bring about changes and new priorities. 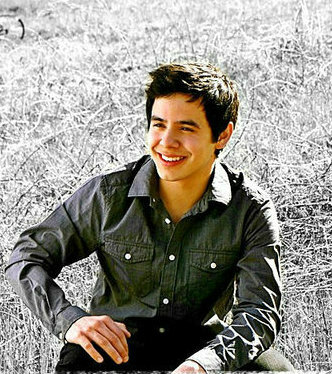 I just wanted to say I’m very, very impressed with David, his growth as an artist and his maturity, both personally and vocally. His EP’s are beautifully produced, Leo being my favorite of the two but as yet can’t decide which song is my favorite as they are all so good. 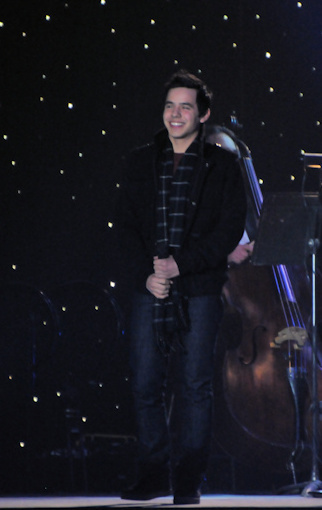 I had the pleasure of attending one of his Christmas concerts last year with SandyBeaches, which reminded us of why we became fans of David almost ten years ago. We are hoping to attend one, maybe two shows on his tour if at all possible. 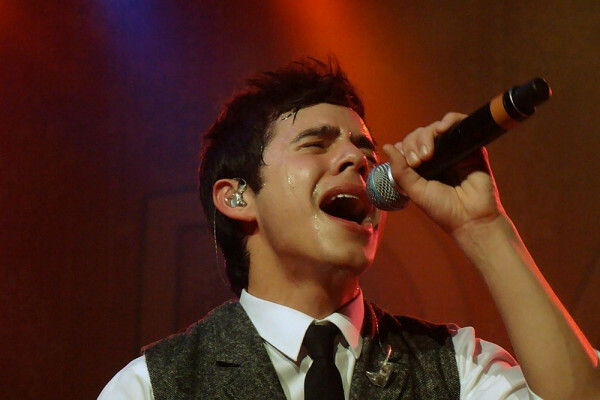 The last part of I’m Ready was sung by Annie Schmidt. She was the daughter of Jon Schmidt, who is one of the Piano Guys. He’s the one who plays the piano. She got lost on a hike by herself and they finally found her. I think she had fallen and died. It was very sad. She had helped David with the song, and he had a recording of her singing that last part and put it on the album to honor her. After David’s explanation, I thought it was her singing. Thanks so much for clearing it up for me, Lynnella. It was such a tragic loss. Listening to David’s Facebook live, again. I love all the songs on Leo! Glad your post came through SF! The plans are in the works for one concert. Lynnella, what a heartbreaking story and nice tribute from David. Hope everyone stays dry in the path of Harry! Thanks for posting the FB live video Jan! I fell asleep watching the Weather Channel and missed it, DOH! But I am grateful that I could watch today and save it. And JR made MP3’s of the songs from FB Live. 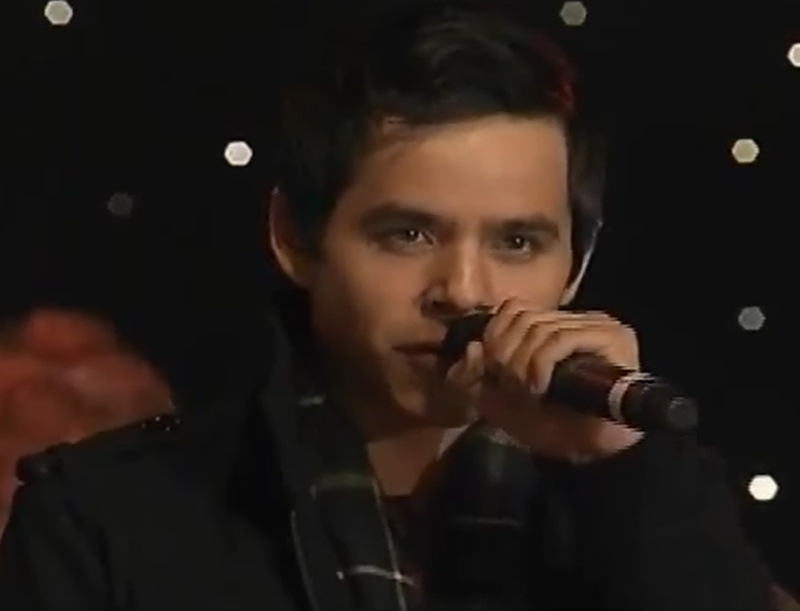 Facebookin live with David Archuleta @davidarchie check it out on David's FB page. Lynella, I was totally confused about the whole singing thing, but glad the ol’ brain finally got it! 🙂 It was a very heartfelt thing for David to do for her. I know she left a big void in a lot of people’s lives. So sad. Good on David for supporting LGBTQ community. I am so glad he has spoken up on their behalf. Amazing to see this, LoveLoud Fest going on in Utah Valley! The festival is to support and show love to the LGBTQ+ youth and community. So glad to see how far we've come here showing love to and accepting everyone regardless of their sexuality. Doesn't matter what makes someone different! I know there's been misunderstandings people have had on Mormon culture and the LGBTQ+ community, but we are all brothers and sisters y'all. If your neighbor is different from you, it doesn't mean you need to shun them. You can still build each other up even with differences in how you see things and the find common ground. Let's keep leaving the differences aside and build the unity because what makes you different doesn't make you any less-deserving to be loved, have a friend, and given strength to go through difficult things life has for all of us. @official_neontrees and my boys @imaginedragons are headlining and excited for them to hit the stage! DA – who at most times falls over (verbally) just commenting on the weather, writes up his comments here almost perfectly: with passion, love, and complete freedom of expression. That only happens when someone has thought it through many, many times… and said it much more than once. These are words from the heart. This stands in sharp comparison to a lot I can read now days – where there is passion, but more a feeling of “reaction” than commentary. This is a model for those of us who wish to be heard but worry about being misunderstood. DA has been misunderstood so often already, and at such a young age, he has done his homework to understand himself, what he believes, and who he is. May I greet adversity with the same determination and faith he has shown. To me, DA models the growth that can come when we decide it is worth it to understand ourselves, accept responsibility for our voice (talents), and look up from the battle to truly see the hearts of our fellow travelers. Often, what surprises me most is the sound of one heart beating. Thanks for your comment. What he has written shows his true heart for sure. He came back in the wee hours of the morning to post this beautiful sermon-like post. He must have done a lot of thinking on the car ride home after the concert. If someone isn't Christian like you, Muslim like you, or atheist like you, you can still find respect and love for each other. This is about knowing people can be loved and respected regardless of what you may or may not see eye to eye on. take time to understand them and listen. LoveLoud is about giving a voice and letting LGBTQ+ youth know that they belong. Too many people have taken their lives because they feel they don't belong, that they're misunderstood, and not loved because of what someone says is "different" about them and they believe they're not acceptable to keep living. Too often we think we can't love or respect because we don't agree on a belief or opinion. God heard (and hears) the prayers of the healthy and the leper, the poor and the publicans, prostitutes and beggars, Jews, gentile and Samaritans (along with the seemingly average typical citizen) and lifted them from where they were. He loved, respected, and spoke to everyone. Christ didn't teach conditional love. It is unconditional. His love has power to lift us and transform us. Whether you understand your neighbor's differences or not, look at the good and the light which exists in them because that's what we are each made from: God's light and power. There's more to each of us than one label. We were created by the same powerful almighty hands. This isn't about agreeing or disagreeing on differences, It's about respect even amongst differences. I want you to know that whoever you are, you have purpose, and you belong in this life. You are here to fulfill more than meets the eye. You are here to experience joy, to keep trying, to experience the pain and the heartache, to be a friend, to be grateful, and to search for truth and light. Each of us STILL plays a piece in this symphony of life and it's glorious. We all need a little help from our friends. We each need to feel loved and respected for what's within our heart and character. We all have equally been given this life because each of us has a loving Father in Heaven who gave us this chance. This life is about getting back up and giving it another shot. It's time to give the support you need to become all you are destined to be. Lovely edit by @lovelyarchies 🙂 is today’s puzzle. Abrra, rthanks for posting all these goodies. 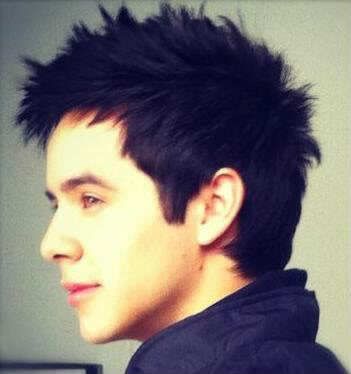 Andthese last David instagram posts have left me speechless. This is what I feel from him from the start. A feeling of acceptance to all, at vips, at concerts, at the fan luncheon, with his eyes, his smile, his gestures, the same for all. And now he’s put all into words! Beautifully, eloquently written, filled with love and passion for all humankind. I’m blown away yet again. Bluesky, I love what said and the way you say it, thank you. Thank you for a perfect Sunday puzzle, Abrra! Thank you all for the videos and pictures that have kept me updated this week. It’s been a week from way down ‘yonder and I hope to not have another one like it anytime too soon! Love you guys!! David was busy with IG stories at the concert. Thanks FOD for making the video for fans! 104…I always said that if everyone was like David, this world would be so peaceful! Yes, this is always why we love him, other than his great voice. 108…So good to hear David singing in the background on some of these songs and that he was having such a good time. David sending love and thoughts to the people of Houston in the wake of Hurricane Harvey. 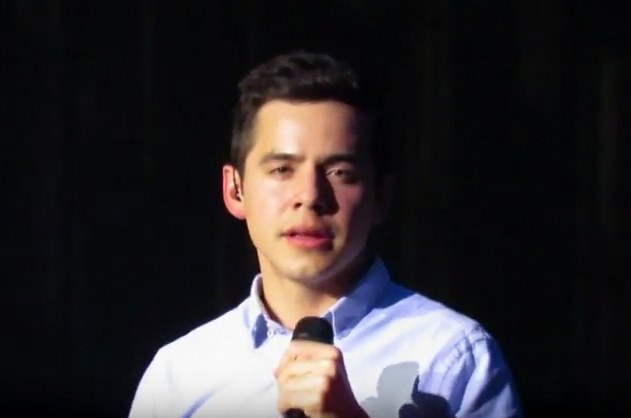 Hope our TX Archies are staying safe! I was so happy to see that DA Peru did a Spanish recap of David’s Facebook Live. I just had to let you know in case you missed the post. Beautiful spot for a run! I loved the puzzle! Thanks for sharing, Abs. LEO reactions by these two. Aw haha. Very cool! Thanks! The puzzle today is compliments of BrendaS. 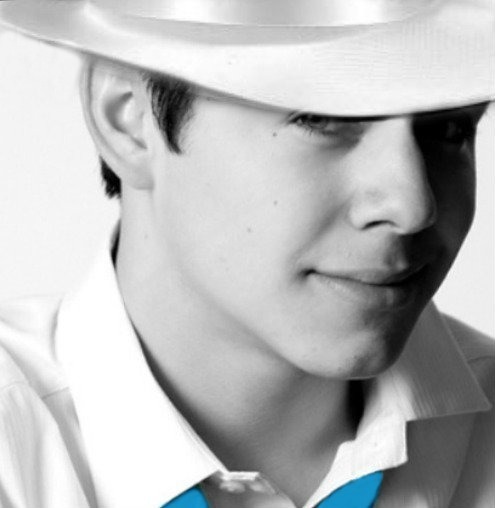 Nice edit to promote David’s music. Thanks for the 2nd puzzle this week, Abs. We must have been very good! 🙂 It is very much appreciated. Hope everyone has a safe Labor Day! Loved the puzzle, thank you. I first found the teeth,and when I got that smile put together everything else just fell into place. September! Yay! Excited for the Kamas concert. Want to see David singing all these new songs. I’m ready. Thanks all 🙂 I really enjoy Brenda’s edits. She is talented! My favorite song today is Other Things in Sight and my favorite line is “Got me curious who it is that you think your talking to”. I love sassy David. Bluesky, love that Abrra faithfully graces us with a puzzle every week, Thank you Abrra. Always love your comments, Dayzee! 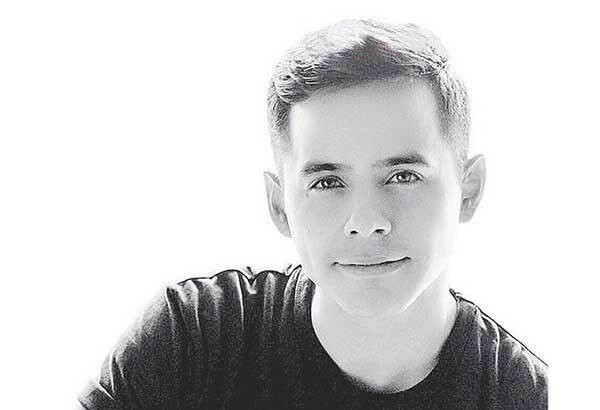 Hoping to work: David’s going to Manila! Oooo good choice Dja! I too love the “singing solo songs” phrase. Tonight I am smiling at “a little less people I can’t please”. Hahaha. And when he sings “Well ain’t this sumpthin” I think Yes! this is sumpthin! What a great bunch of songs he has given to us. Today my favorite song is Someone to Love and my favorite part is at the end with all the OooOoo’s and David singing with David. Love the pic chosen for today’s puzzle. I have seen him in this position many times. So many hands reaching for him and he has only two. I remember in Arizona a large crowd of fans were lined up along a fence that separated us from David’s touring bus. He ran the entire length of the fence and touched as many hands as possible. Several times I have seen him in danger of being pulled off the stage by grasping hands, but he keeps the smile and continues to give us contact. I think there could be easily a hundred people at the stage’s edge, two hundred arms. That must be quite a spectacle from his point of view. It would make me think twice about getting any where near those emotional people. I have always wondered what goes through David’s mind when he comes to the edge of the stage to greet all the fans wanting to make a connection. No denying that there is much love and respect going both ways. Today I am thankful that hurricane Irma was slowed down and the storm surge seems to be a lot less. I had some extended family who stayed in their house rather than leave. No word yet from them, but I think they will be ok.
Today in history will always be on my mind. Hoping for the best for your family, Abrra. Yes. This day 16 years ago changed our lives forever! Dayzee, that was when we were among the emotional people when one of the girls next to us was trying to grab at his shirt and he was pulling away and fell into us. Poor guy, he gives so much of himself. Just have to love him! 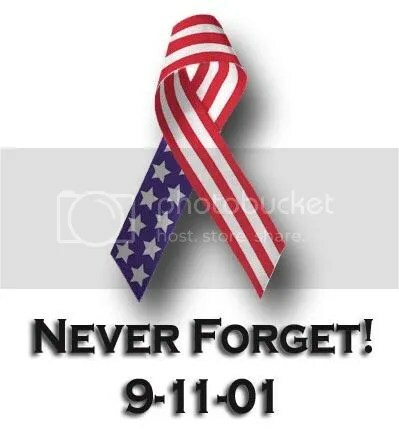 I won’t ever forget 9-11 because it’s my birthday. I was here first, so I try and stay in a good mood. I usually celebrate for a couple of weeks and spread it out as different ones want to take me out to eat…other than family. Works For Me! 🙂 Had a nice one. My daughter planned a trip to Myrtle Beach and the hurricane messed that up. She changed it to go to the other side of Nashville being it was more inland. And the hurricane is messing that up too. But everything is in place and we will be going tomorrow, hoping that we won’t be in a complete washout! Jans today is a bittersweet day, it’s also my daughters birthday. So we feel the sadness and anger of that horrible day but also celebrate my awesome daughter to the fullest. 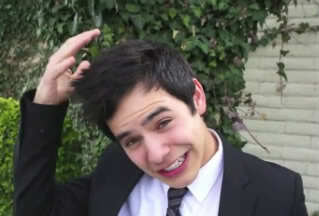 Thanks to FOD for capturing this crazy guy! Este hombre fue mi compañero en Chile por 6 meses durante mi misión. Jorge y yo pasamos por muchas cosas juntos—Momentos difíciles y también momentos increíbles. Siempre me da mucho gusto poder ver a mis compañeros y amigos de la misión y repasar esos tiempos inolvidables. Felicidades amigo en tu casamiento! Que vaya muy bien para tí y para tu linda esposa en los siguientes pasos juntos! —————————————This guy and I were together for 6 months straight 24/7 as mission companions in Chile. Jorge and I went through a lot together during that time. Moments that were both rough and wonderful. It's always great seeing my companions from the mission and reminiscing on those unforgettable times. Congrats mi amigo on your marriage! All the best to you and your lovely wife as you take the next steps together in your future! Thanks Abs and Dja and tell your daughter Happy birthday too! Nothing like leaving nice sunny KC and come down to the remnants of Irma! 🙂 But the trip was planned and couldn’t be changed again. A lot of drizzle the last few days but sun and blue skies today! It’s just good to get away a few days and see different places. Aw, David and Jorge and his lovely bride. They look so handsome and grownup. It’s your turn now David! 🙂 That’s a good question, Abs! A few months ago I seen where Jason Castro’s wife is having their 3rd girl. The other 2 are real cuties. What a nice picture! Great that David is able to attend his friends wedding in Guadalajara, home of many of my family members. The promo in Asia for October 20th has been insane! Can’t wait to see the videos of all the welcoming celebrations for David! Thanks to fan @palrice8 for today’s puzzle image. Some videos from yesterdays TOFW in Worcester, MA. I’ll be putting mp3’s and mp4’s in the Candy Jar of these and more. I’ll post the link when I finish. Mp3’s and MP4’s in Candy Jar. David dancing at his friend’s wedding in Mexico. Bravo, Abs! Thanks for the Sunday puzzle and all the videos. So appreciated. 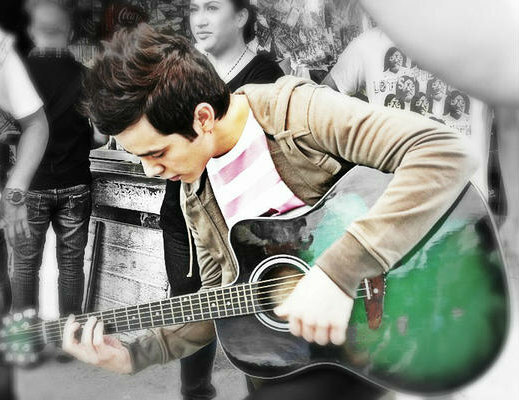 I have totally run out of good adjectives to describe his awesome voice. So I won’t say how great he sounds this time! 🙂 He never fails!